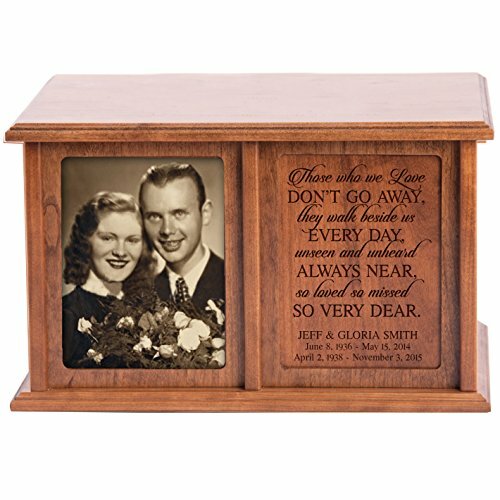 For couples who have had a happy life together, a companion urn is a stunning tribute for them to be together after death. But which one should you choose? Does one size fit all? 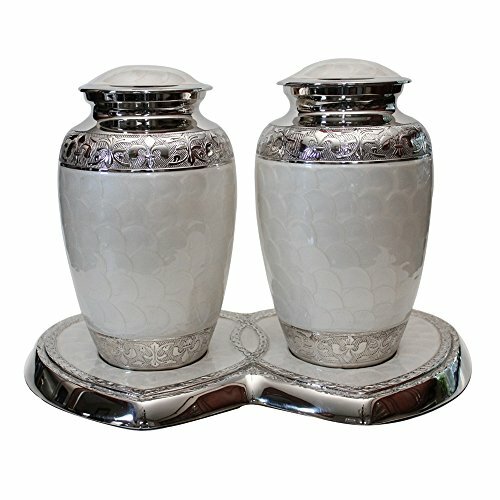 Below we will list our top choices for double urns on the market. Each of these urns have been judged on quality, value, design, and overall customer satisfaction. They are containers large enough to hold twice the amount of ashes as a typical cremation urn. 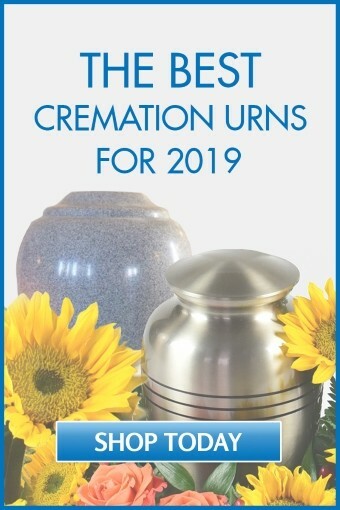 Sometimes they are referred to as double urns. Another use is to contain the ashes of a larger than average person. Are both ashes mixed together or divided? In some instances, the container is made large enough for the ashes of two people to be co mingled. In others, there’s a divider included or there are two separate compartments or containers to separate the ashes of each one. You’ll be proud when people see this lovely companion urn displayed in your home. It will be a fond remembrance of your parents or any couple who were important in your life. The detailed 3-dimensional art inlay of a loving couple, holding each other by a mountain lake, is done with outstanding craftsmanship. It is designed to contain approximately 430 cubic inches of ashes. It can be purchased in different types of wood including, walnut, mahogany, maple, or oak. It is also available for a single person. This unique and modern brass companion urnis a rendition of two swans looking into each other’s eyes. When placed together just right, they form a heart. People who already display this urn in their home say people frequently do not know they are urns, but a lovely modern sculpture. The finish is a stunning brushed red. This double urnis made for the ashes to be contained separately, but still near one another. It will be admired by all. It is made of solid brass with pearl white and nickel finishes. 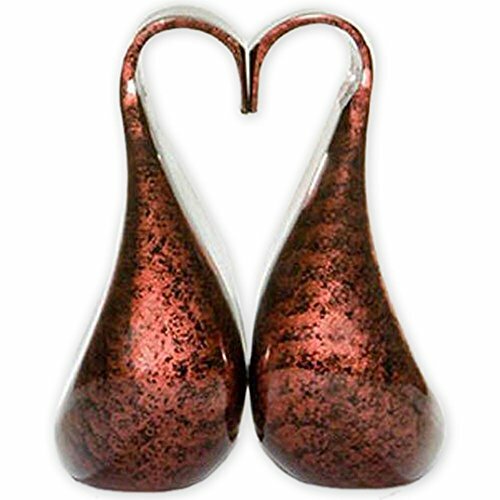 The hand-engraved finish and heart-shaped base make this a very special showpiece. What could be a more wonderful memento than displaying this personalized companion urn. A memorial of two people who wished to continue together after they passed. 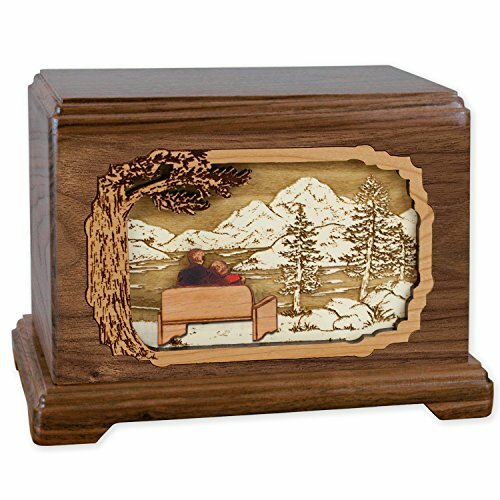 You’ll think of them as you look at their image on this elegant cherry wood companion urn. Customization is available with the couple’s first names and the date of their marriage. You can choose to insert two 5” X 7” photos, protected by glass. Another choice is one photo beside a custom laser inscription of the verse, “Those we love don’t go away”. 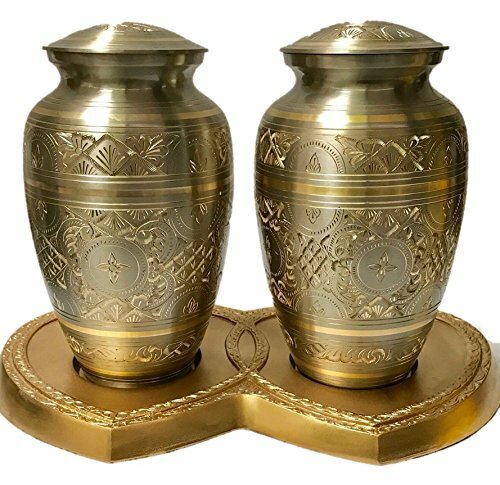 If you are seeking a companion urn for a special duo, this one will also be the centrepiece of any room. Everyone else who sees it in your home or a glass front Columbarium Niche will admire its exquisite loveliness. They are crafted by hand with a two-tone platinum and gold finish. 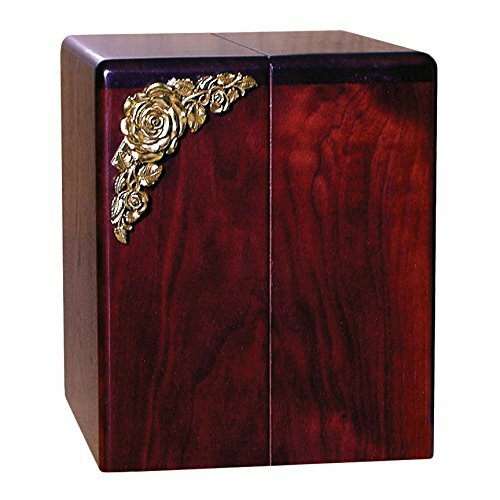 The urns and the heart shaped base are hand engraved as well with intricate art. The tops are screw on and the bottom is covered with felt. 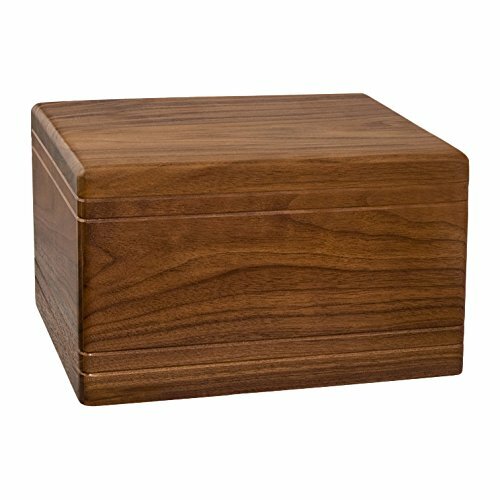 Montana Woodworks Walnut Companion Urn is handmade from walnut wood with a highly polished lacquer finish. The inlaid cross, made from maple, was designed by a talented craftsperson. It would be an appropriate choice for a couple of faith. It’s crafted to contain approximately 430 cubic inches of ashes. Available is custom engraving on the bench, consisting of the first name of both people and the date of their marriage. This is a simple yet elegant hardwood box which comes with two name plates for personalization at no extra charge. The box is decorated with hand-carved leaves, giving it a lovely traditional look. The roomy extra large size will more than meet your needs for the ashes of two people, even with space to spare. 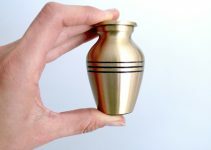 The urn is lovely enough to display in your home, but also sturdy enough to place in a burial vault. This double urn box is the ultimate in simplicity. To use it, simply place the bags of ashes from the funeral home inside it. The urns are custom made, so you’ll want to plan on ordering one 3-5 business days before you need it if possible. This is beautiful box of walnut hardwood, stained with a smooth mahogany finish. Intricate metal rose details on the front add to the impression of elegance. It’s a simple but elegant memorial for two people whose love you admired. 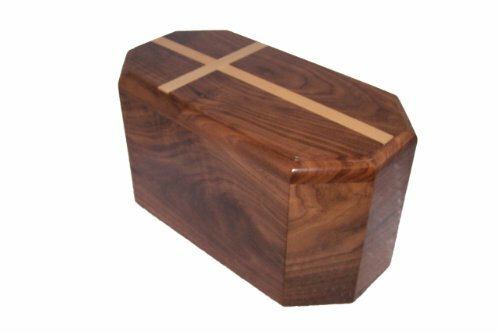 The urn is made in the USA by American woodworkers. It has the capacity to hold the cremains of two people with a combined weight of 400 pounds. This religious companion urn consists of one large compartment with a 500-cubic-inch capacity. It is crafted of light but strong fiberglass, with a black body and copper-colored top. An inspirational verse is printed on the front, against a background which pictures a tree with sunlight shining through it. It will serve as a wonderful reminder that your loved ones live on for eternity with God. 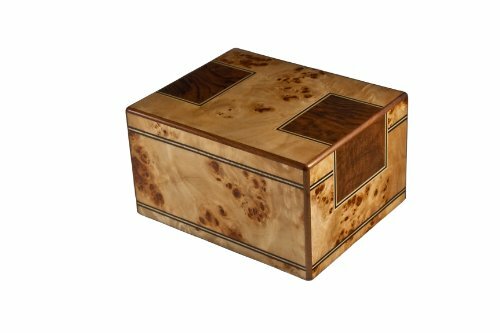 Felt along the bottom allows you to display the urn beautifully while still protecting your floors and furniture. This maple double urn combines elements of the classic and unique, featuring a maple burl finish with walnut inlays. This look of multiple textures shines with brilliant lacquer finish. It is very easy to personalize or engrave. Ashes are inserted via a secure bottom panel which attaches with four screws. The cherry companion urn hold the remains of two people with a combined weight of 350 pounds before cremation. 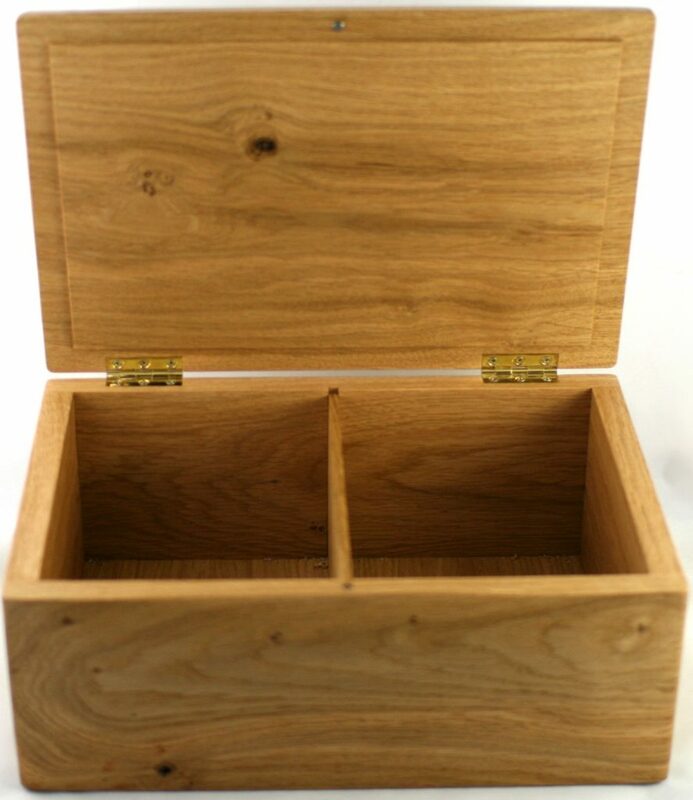 The box is plain but elegant, finished in smooth cherry. 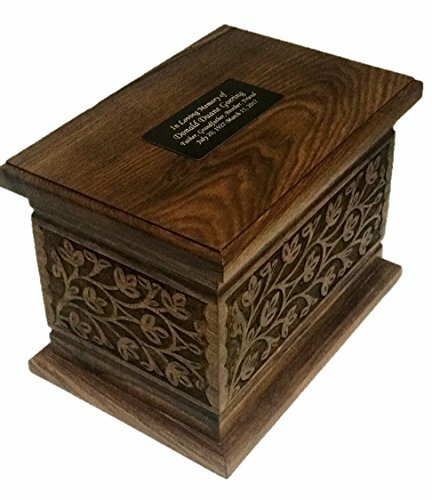 It comes with the option of adding engraved text and/or a photo to the top of the urn at no extra charge. Keep in mind that engraving will be made by carving into the wood, which reveals the wood grain beneath. 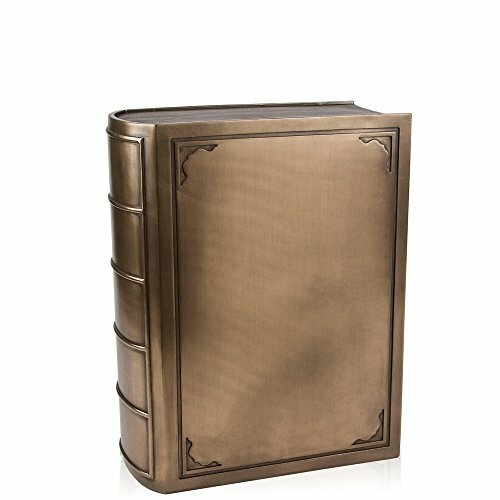 If your loved one was a voracious reader or writer, this book-shaped urn may be perfect. The book is sculpted in cold cast resin and hand-painted with attractive details. Although this urn may be a bit small for the remains of two people, purchasing a pair of them to place side by side can make a beautiful memorial for a couple who cherished books. 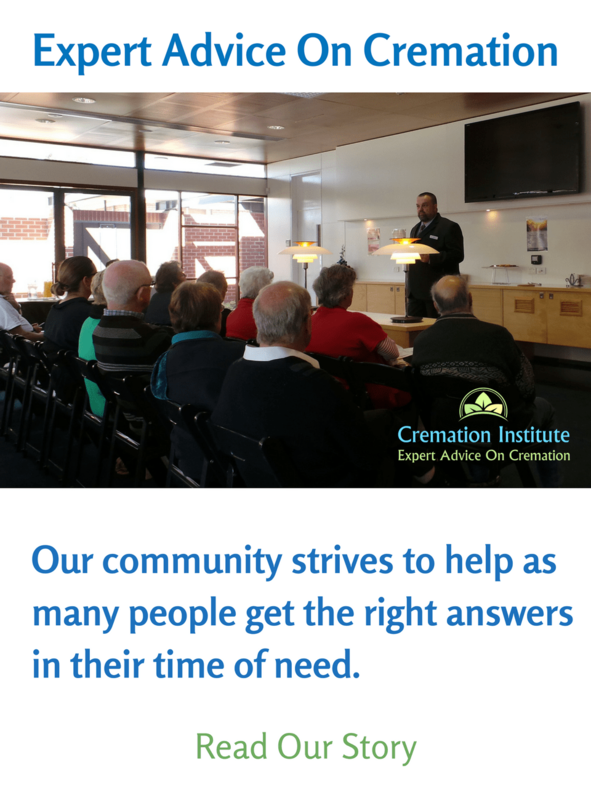 Companion urns for large individuals: is it needed? Yes, in some instances it’s frequently required. For instance, if the person weighs 300 pounds or more, their ashes may not fit in a regular urn. A person’s weight is approximately one cubic inch per pound. In other words, a 150-pound person would have about 150 cubic inches of ashes. 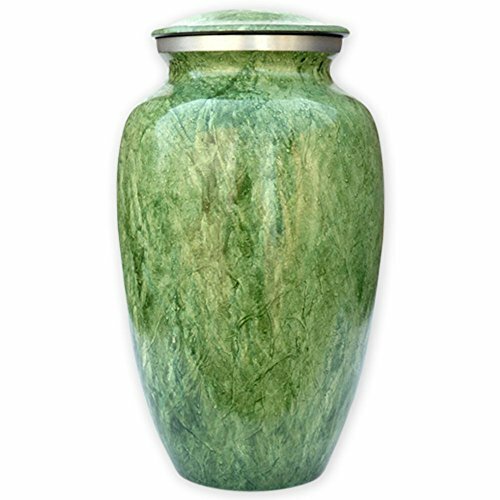 If you need to purchase a large urn, there are a number of elegant and quality options on the market that we’d recommend. Very pleasing to the eye, anyone would love for their ashes to be contained in this gorgeous urn. It’s perfect for a loved one of a larger than average size. It has delicate artistic hand etchings on the silver bands around the cloudy blue finish. The top opens with a threaded lid and the bottom is covered with felt. It can contain the ashes of a person weighing up to 200 lbs. This is a splendid container that everyone will love. 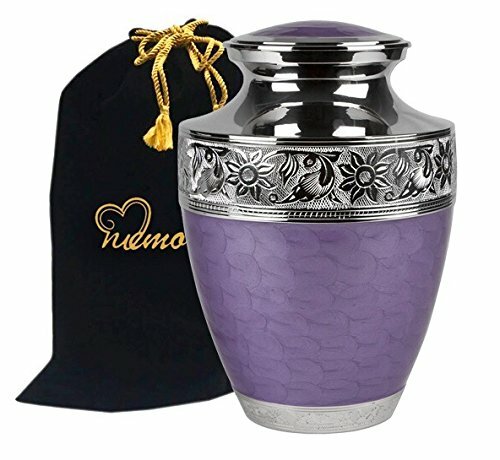 This lavender urn is also ideal if you require an urn for a larger person. This one will hold 200 cubic inches. The urn is made solid brass with a coat of lacquer to preserve its brilliant shine. The hand etchings on the silver bands are a unique detail. 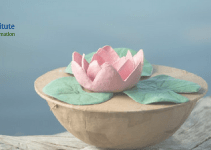 Urns are crafted by an ancient process called sand casting. Each one is completed by hand, making it a one of a kind creation. A timeless design that will look enchanting in any setting. The finish is painted faux marble in a pleasant green shade. With an almost outdoorsy appearance, it could possibly be fitting to contain the ashes of a man. It is also fairly large with a capacity of about a 185-lb. person. It would be a lovely vase for the final resting place of anyone. If the urn will be in a place around children or pets, this is an excellent selection. It’s constructed with metal, making it durable and unbreakable. 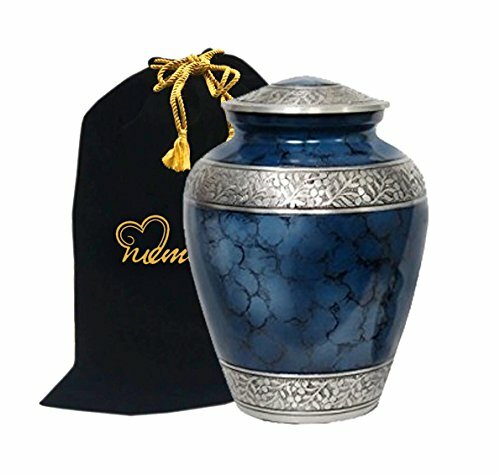 No doubt, a beautiful urn to celebrate your loved one’s life and memory and at an affordable price as well. Some companies allow you to inscribe a custom message on the urn. This maybe included in the price or an extra option to pay for. It’s recommended that you hang an inscription on the neck of the urn. 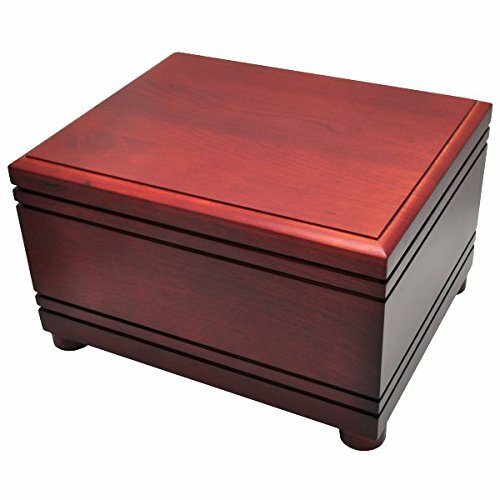 I am looking for a companion urn that will fit a niche that is 12″high x 22″wide x 11″ deep. I’d like to see what the choices are. 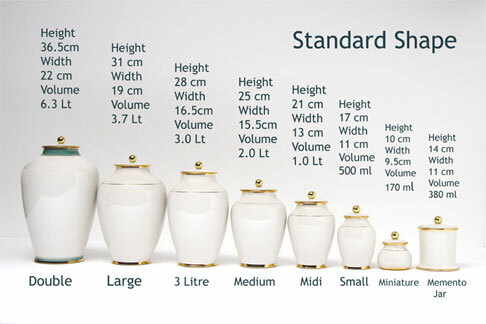 Hi Carmen, I think most companion urns will fall into these dimensions- so it will come down to your preferences. Here are a few choices- marble double urn, large wooden urn, or an elegant walnut urn.